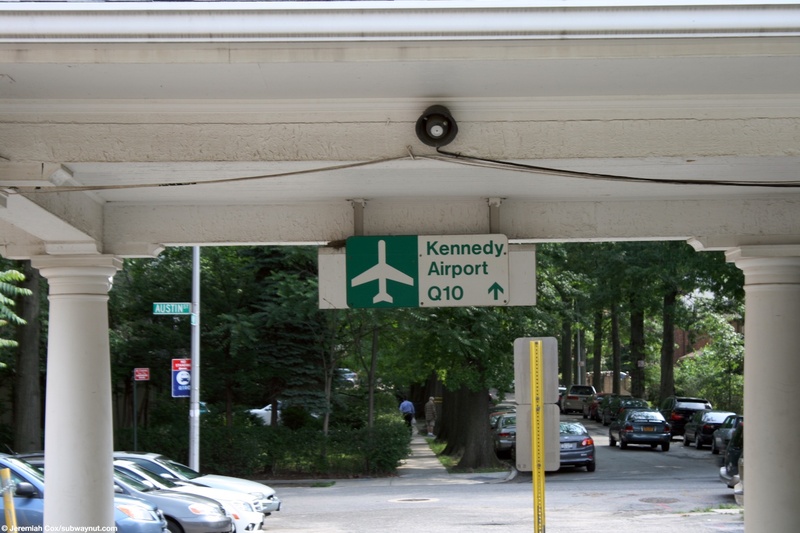 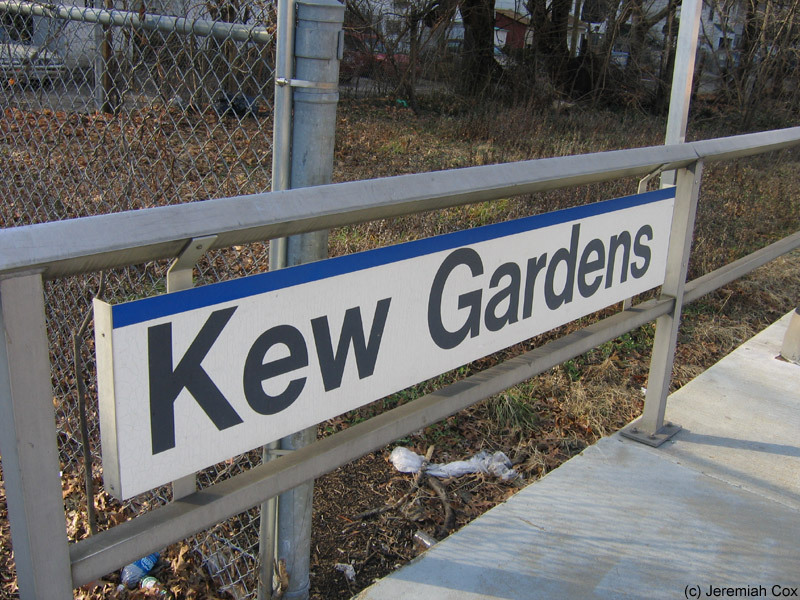 Kew Gardens is located at street level with most streets passing on overpasses overhead, this includes Lefferts Blvd, a shopping street, that rather circuitously connects the two platforms via local streets, although the station cannot be seen from that street directly due to shops being built in a building directly on the sides of the overpass. 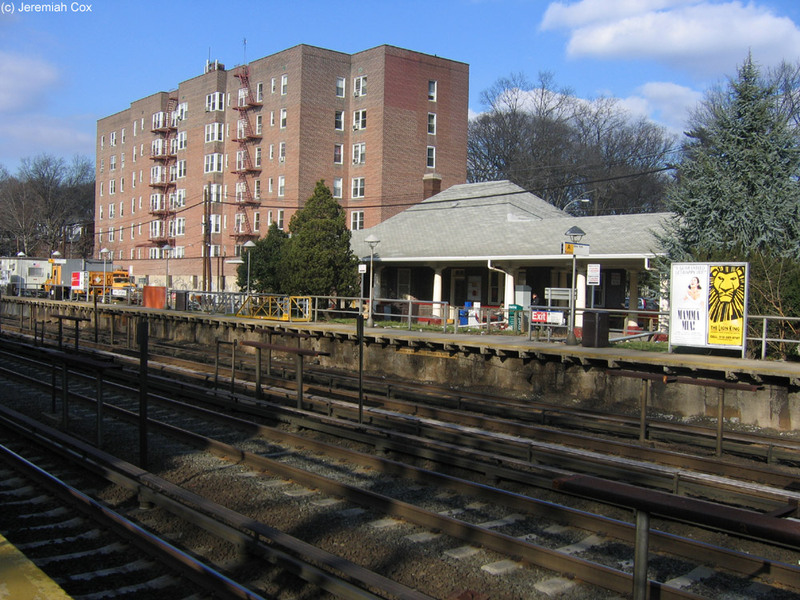 Each side platform for the line, that is four tracks here, is also extremely short and only the first four cars stop at the station. 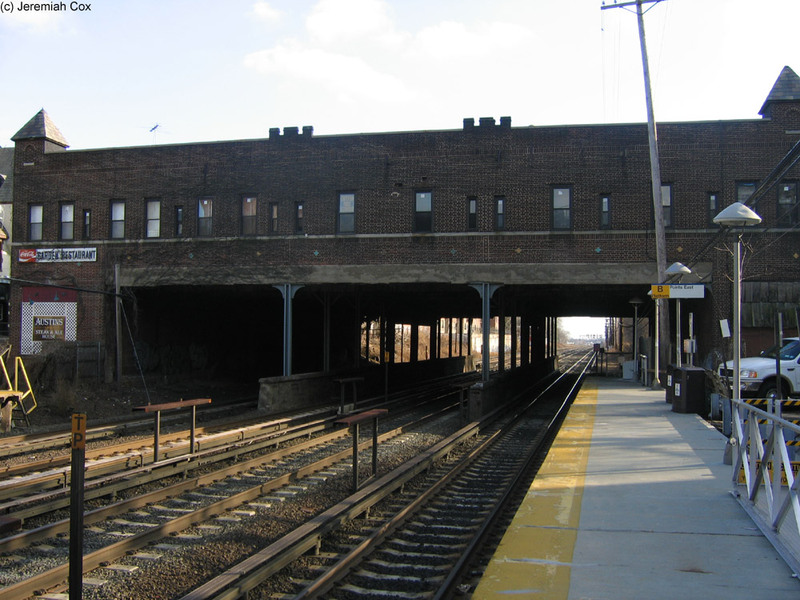 The Westbound, Manhattan-bound platform's main entry point is through a small parking lot that extends from the intersection of 82 Street and Austin Street, this in turn leads to the station house that is an open waiting area from 5am to 1pm, Monday-Friday, it also had a ticket clerk until relatively recently (the mid-2000s). 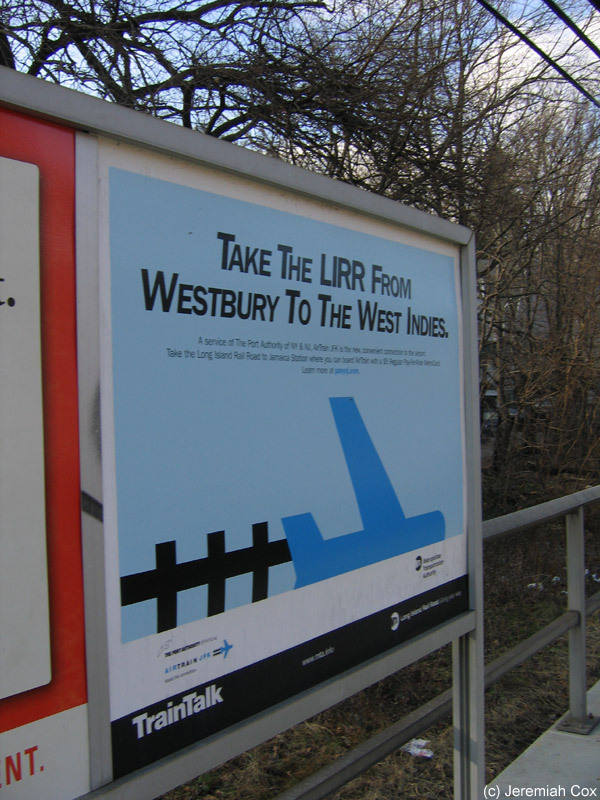 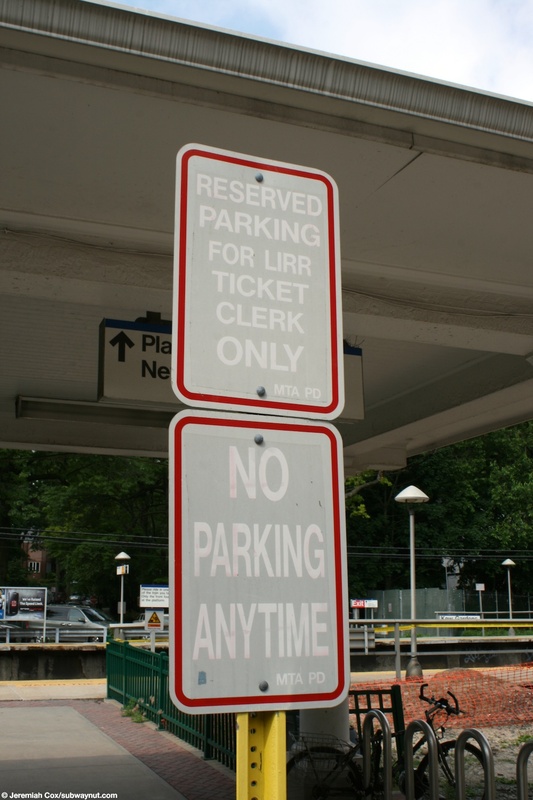 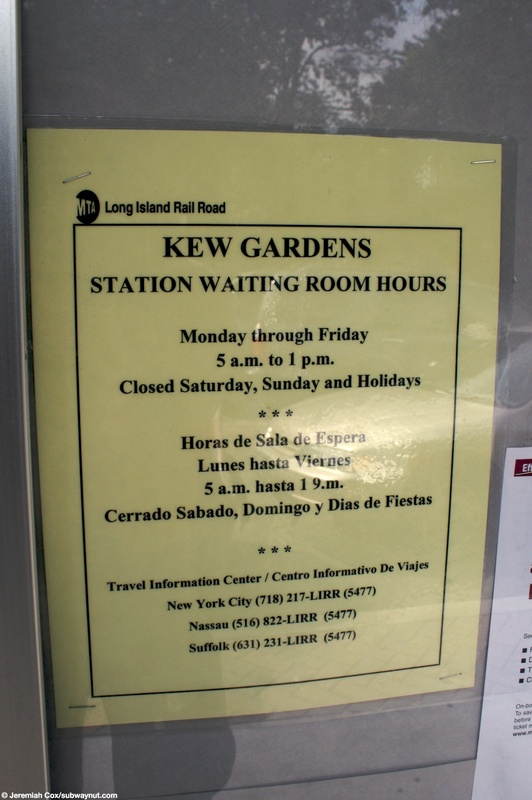 The LIRR website claims here that it is only open from 6am to 10am. 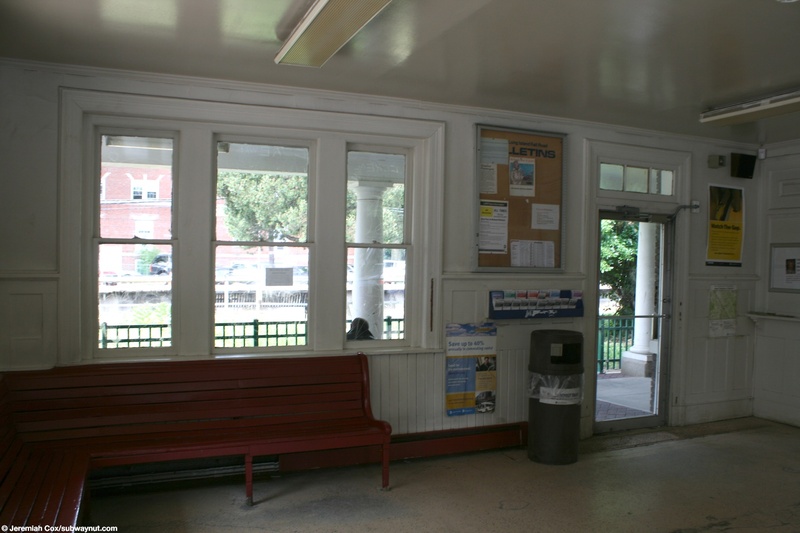 There are still signs scattered in the station that say the ticket office is open M - F 6:55AM-9:00AM. 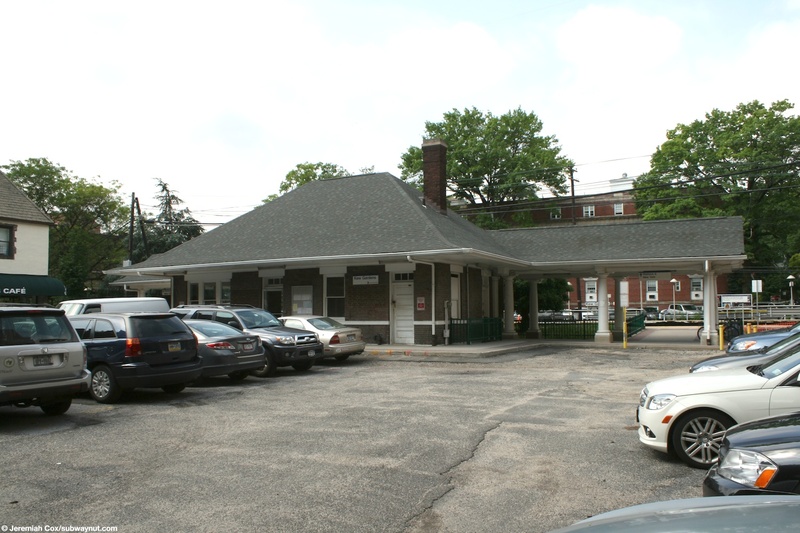 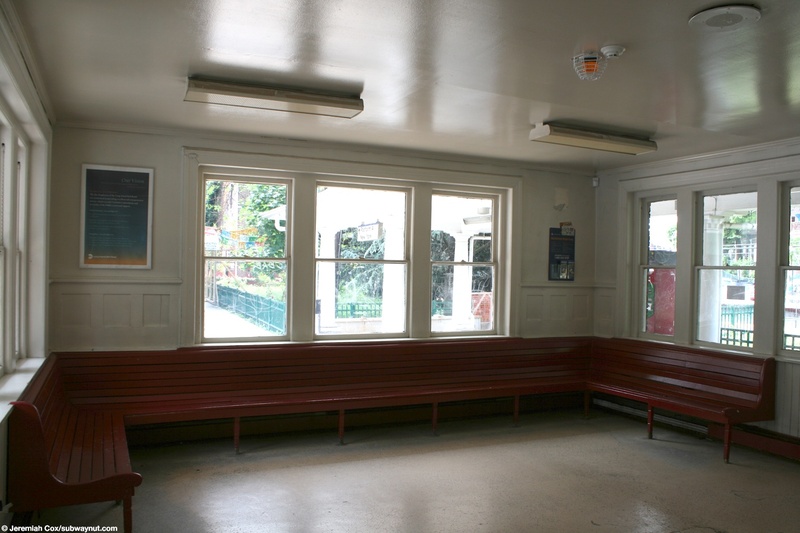 The station house is a decent sized brick building with a shingled roof and white columns and a large overhanging portion that covers the outdoor ticket machines. 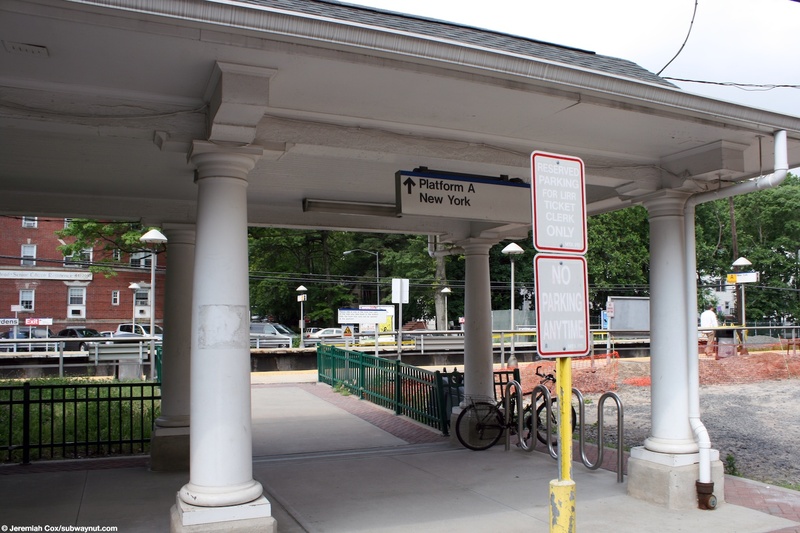 These eves provide the only sort of protection for waiting passengers on either platform. 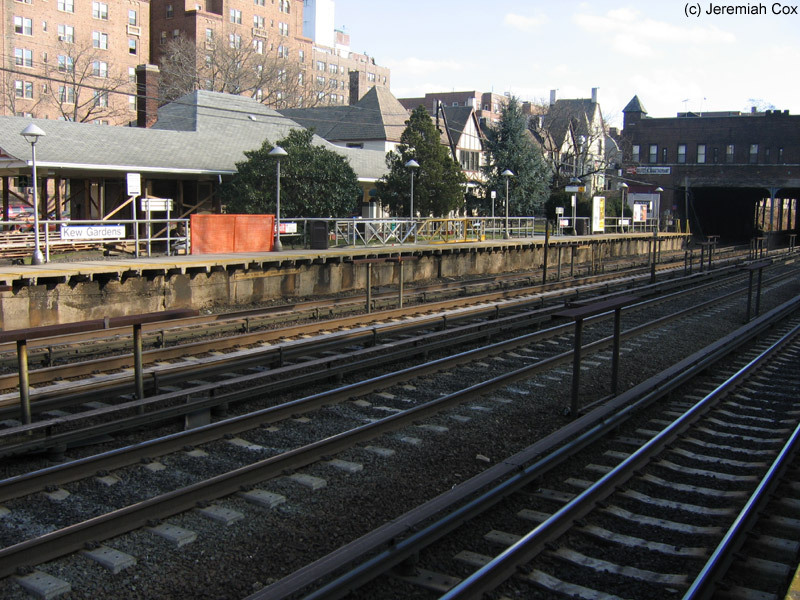 Some greenery is between the station house and platform because it is set so far back. 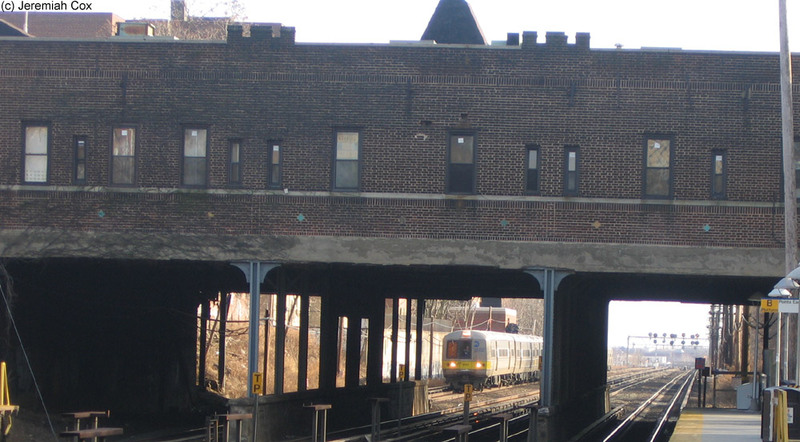 There is an additional narrow walkway with steps up from the New York-bound platform through some more stores up to Lefferts Blvd. 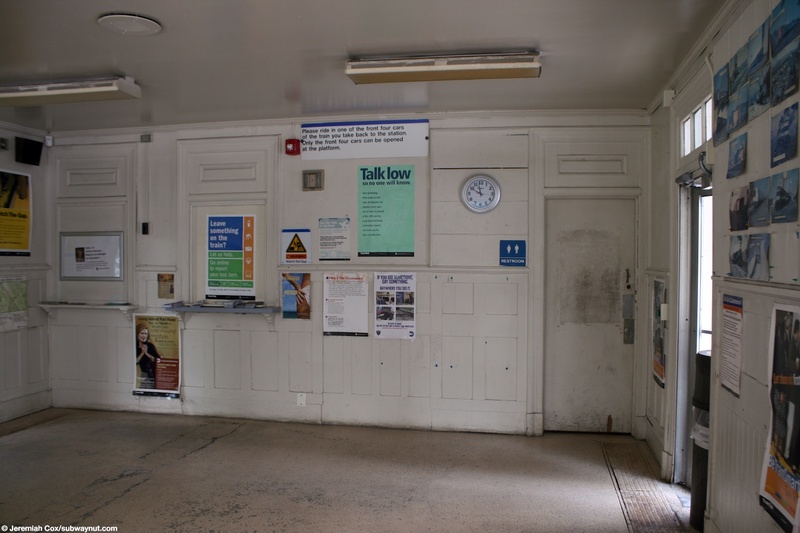 The Eastbound platform is extremely simple with no protection for waiting passengers. 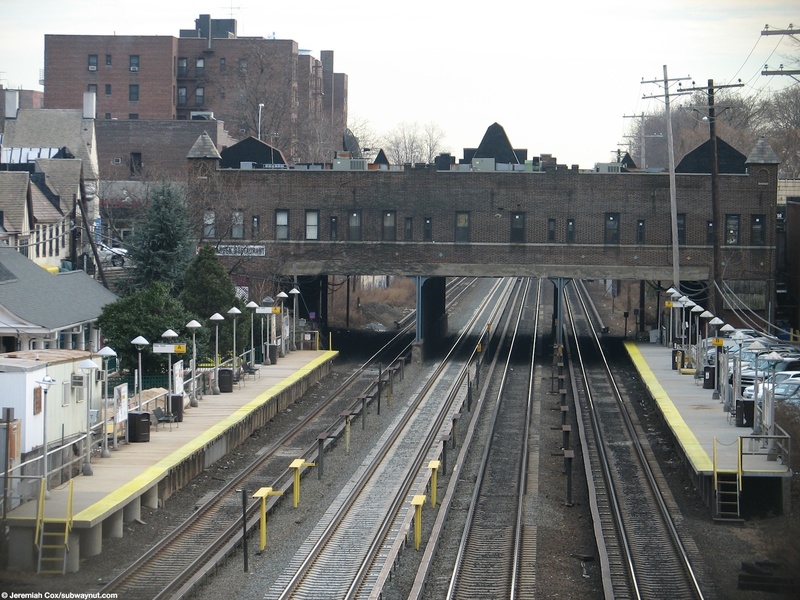 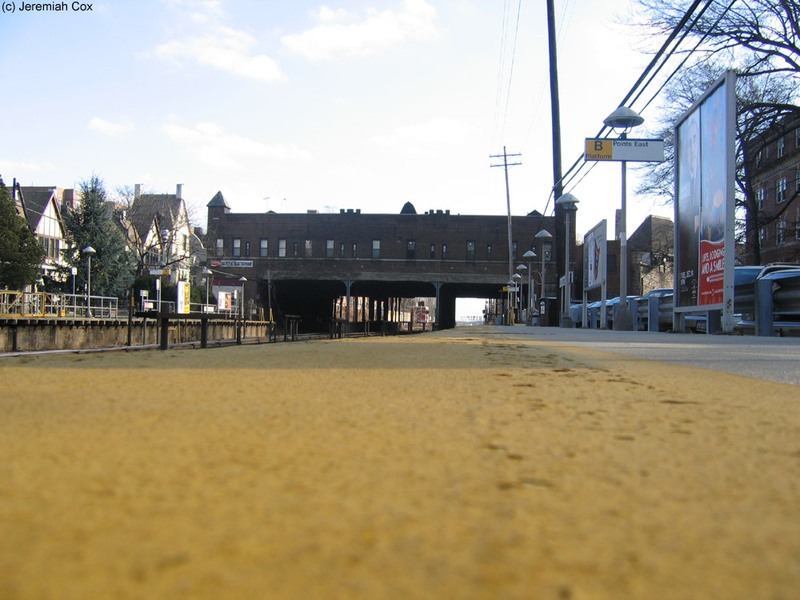 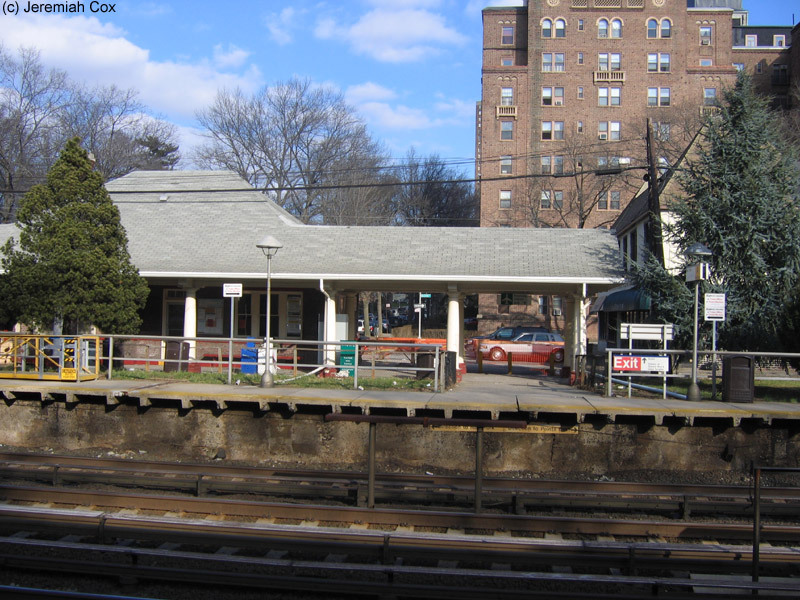 It is only accessed from Audley Street, a street that loops down from an odd five-way intersection with Lefferts Blvd to serve this platform. 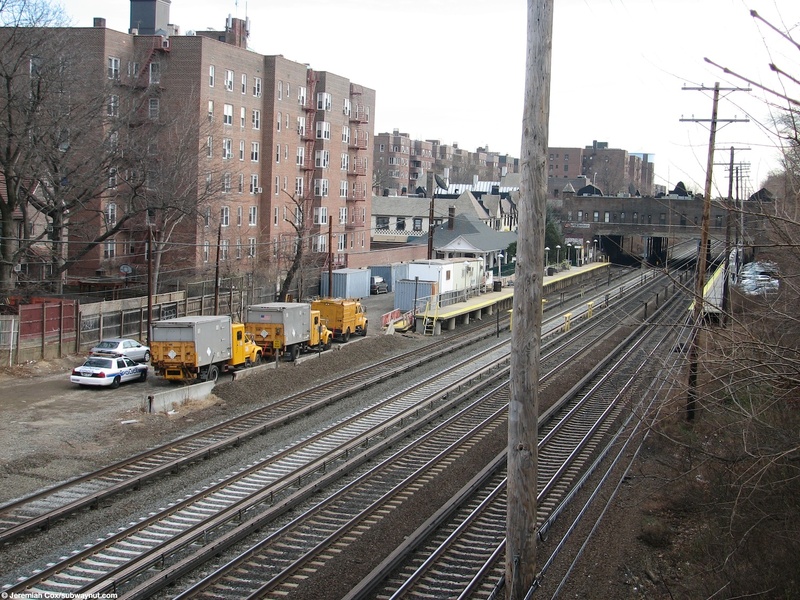 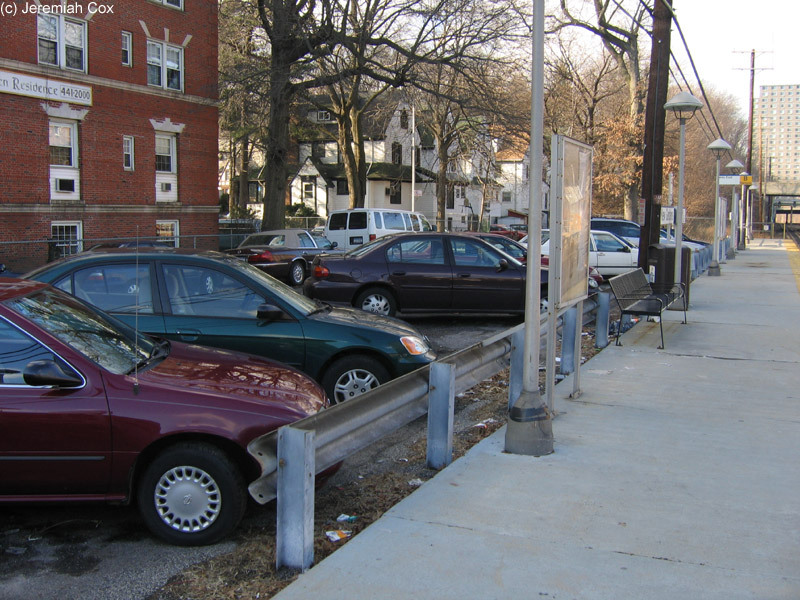 It has some parking along it and the angled park cars almost drive directly onto the platform with the only fence a highway guardrail, not the typical low LIRR fence. 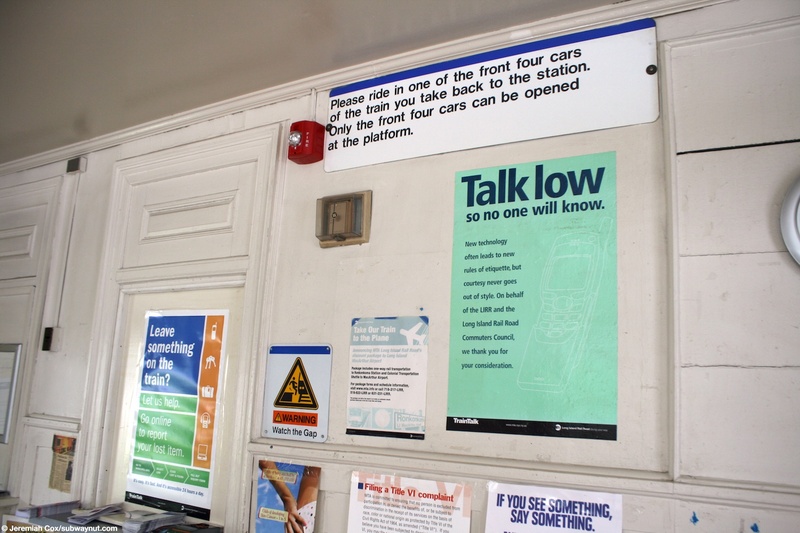 Service to the station is at least once an hour (two trains per hour on weekends), with more peak hour service.